Good job. 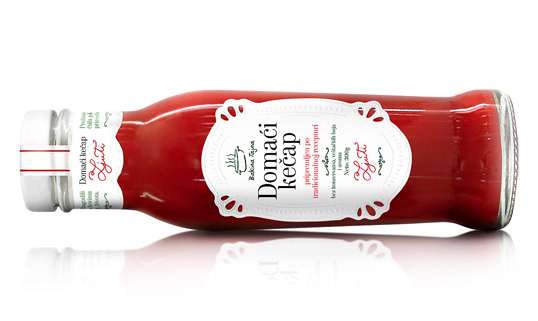 I like the label, although I feel there is too much “commercial” enclosed in the label, especially phrase “made under traditional recipe”, which of course doesn’t have much to do with designer decision making. I absolutely love “Bakina tajna” products! 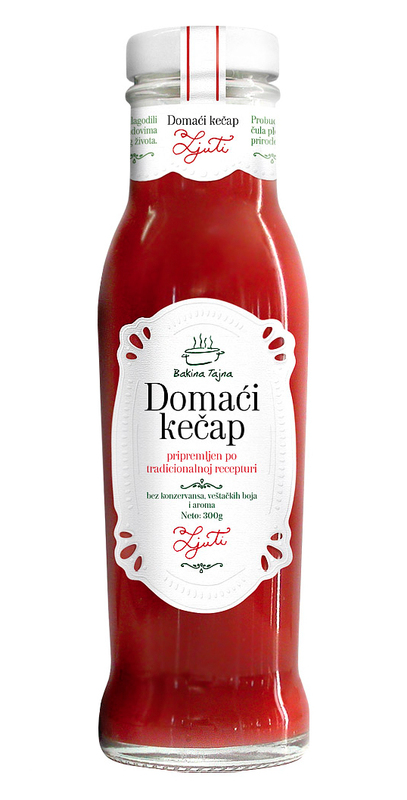 I visited Serbia recently and everything I tried was really delicious (various fruit juices, jams, ajvar and pindjur). Only natural produce can taste that good. I really wish we could get these products in London. I brought some of them back and my friends managed to eat the lot. I saw both the old and new packaging. I don’t have anything against the new packaging but I think the old packaging is more suited to the traditional tastes and recipes which this fantastic brand promotes.